Oh how I appreciate this woman who is always giving away the most wonderful kitchen gadgets (that I would love to own). This month she is giving away an ice cream maker. 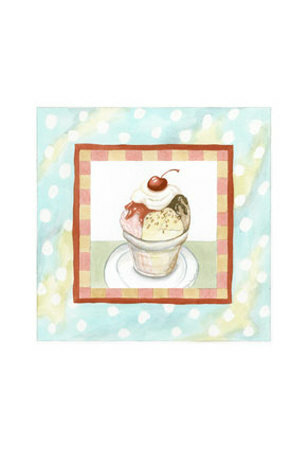 Oh, how I would love to have homemade ice cream. The store bought stuff is full of the most awful chemicals, like anti-freeze. Maybe I will win. Maybe you will! If you would like to make your own homemade ice cream, be sure to enter! We hope you win, Mrs Q... homemade is the best! Oh, thank you. It would be nice!